Train Equip And Mobilize believers for effective ministry. In 1985, upon returning home to Kenya after college in the United States, God made clear to Dr. Chacha the great need for strong Christian leaders in developing nations. Thousands were coming to the Lord daily, yet many were quickly falling away due to the lack of solid biblical teaching and effective leadership. Too often, those who were called to lead had little or no opportunity for Bible training or for learning principles of leadership. 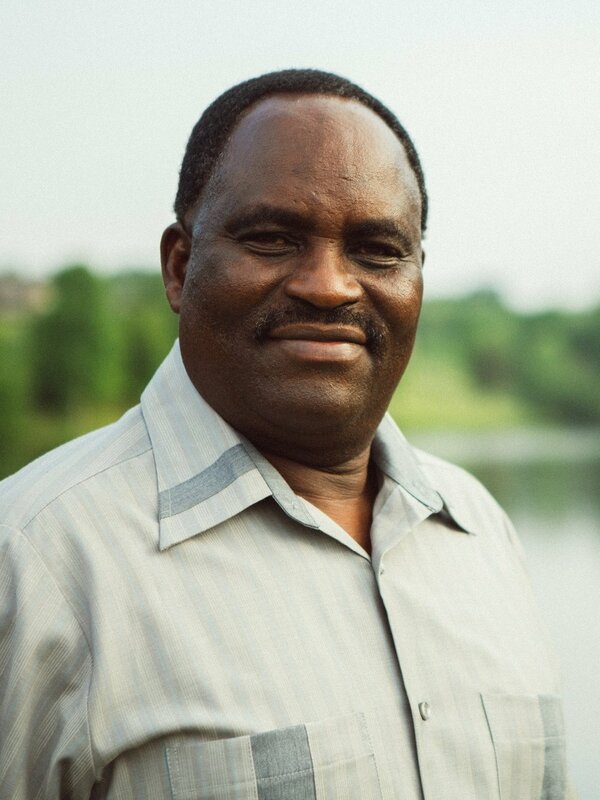 Under the guidance of the Holy Spirit, Dr. Chacha returned to the U.S. and founded Teamwork Ministries. From this launching pad, Teamwork Bible College International has been established in many countries around the globe to provide Christian distance education - training, equipping, and mobilizing believers in effective Christian vocational ministry. Dr. Chacha’s wife, Regina Chacha is a great partner in the work. Following Dr. Chacha’s passing in an accident in 2015, she is now the president of Teamwork Ministries and chancellor of Teamwork Bible College International. Teamwork Bible College International (TBCI), based in Martinsville, VA is a highly regarded worldwide front-runner in distance learning, offering dynamically practical Christian degree programs. The vision of Teamwork is to Train, Equip And Mobilize believers for effective ministry. Teamwork’s impact is global, operating schools on five continents, fulfilling the Great Commission of Jesus Christ to make disciples of all nations. Correspondence courses or church-based schools offer flexible and cost-effective opportunities to earn a degree while allowing the student to continue serving in the local church. Establish a practical theological foundation for your Christian vocation and earn a college degree. Teamwork Bible College degree programs range from a one-year certificate to a doctorate in ministry. Don’t miss this opportunity! Make Teamwork Bible College International your college of choice for Bible-based distance learning and Christian degree programs. Let Teamwork provide you with a practical theological foundation for your Christian ministry. To learn more, click here. 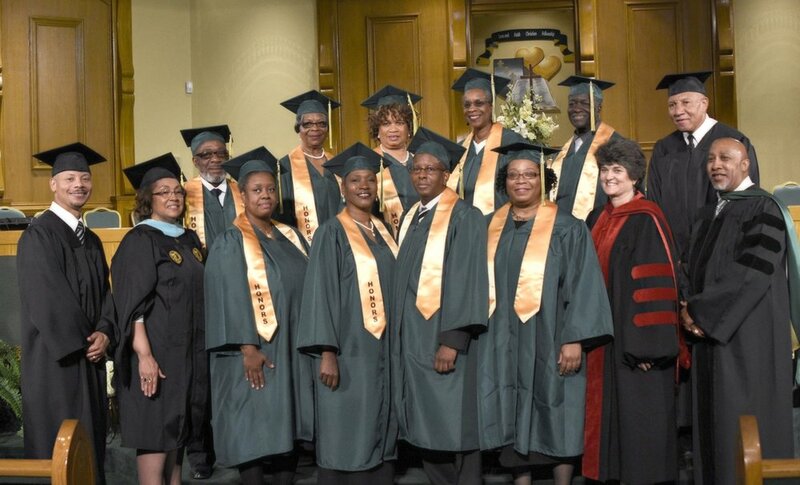 Chancellor Regina Chacha and Pastor Michael Thomas (front row, far right) with 2017 graduates at Love and Faith Christian Fellowship in Greensboro, North Carolina. Dr. John Chacha & Dr. Paul Lutchman with a graduate in Durban, South Africa. Dr. John Chacha and Dr. Scott Philbrook with Martinsville, Virginia graduates in 2011. 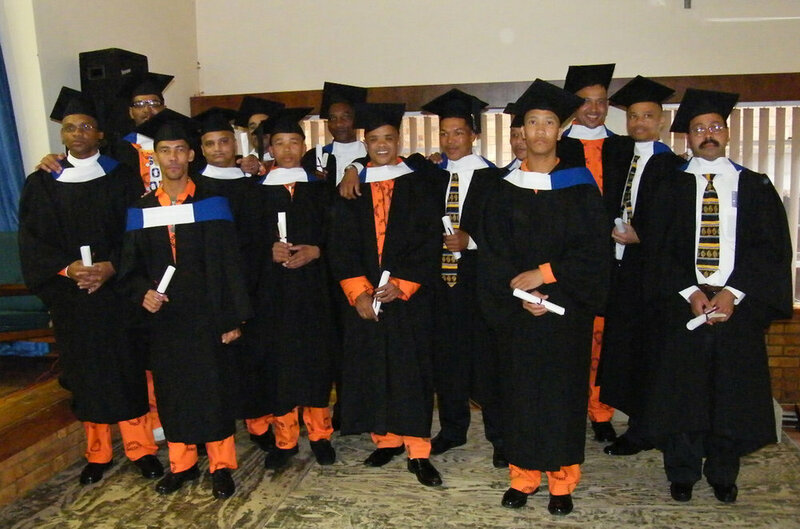 Maximum security prison graduates in Worcester, South Africa. Teamwork Bible College International has met the requirements of religious exemption from the certification process of the State Council of Higher Education for Virginia (SCHEV). The institution’s primary purpose is to provide religious training or theological education. TBCI is accredited by the World-Wide Accreditation Commission of Christian Education Institutions (WWAC). WWAC is not an accrediting organization that is acknowledged by the U.S. Department of Education and students are not eligible for Title IV Financial Aid Programs. Although Teamwork Ministries and Teamwork Bible College have great impact, Dr. Chacha felt there was an opportunity to uplift a community by investing in the next generation of leaders – the children. In 2007, he received a calling to help the people in his home village of Ntagacha, Tanzania. His love for the children became all-consuming as he made it his mission to pour his life into giving back to the people in his community. He brought City of Hope in a short time to include a children’s home serving 110 orphans, Destiny Primary School and Amani Medical Center. After his passing in 2015, City of Hope has continued to grow and now includes the Dr. John Chacha Secondary School.